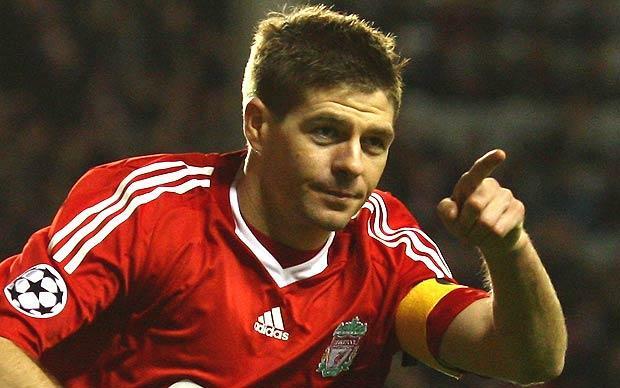 Steven Gerrard has been offered with a new contract by boss Brendan Rodgers. The English footballer who has been linked with Rivals Manchester City closed the doors by saying there is no rift with boss Brendan Rodgers. Speculation has begun to intensify over the midfielder’s future and there were reports he was considering signing a pre-contract with a foreign club in January. Those claims have been dismissed as “rubbish” by both Rodgers and the player. Gerrard also took the unusual step of personally reassuring fans there are no problems with Rodgers. A spokesman for the Anfield giants confirmed that a formal contract offer has now been made to the player, with the player’s agent currently looking closely at the terms. News posted by Daily Mirror claims that Gerrard is in no rush to sign a new deal, with a guarantee of a one-year rolling contract on the table. Rodgers said contract talks are ongoing and added, “Steven’s at the point of his career when he’s not going to play every game, and not every minute of every game. “It is simple. The reality is that at this level, and how competitive it is and the squad we have here, you can’t just rely on Steven in every single game. But he is still a hugely important player. Will Manchester City going to make a third bid for Raheem sterling?